One of the most amazing things visitors to Algonquin Park experience (many for the first time) is the awe-inspiring majesty of the night sky. For many, it is the first and only time in their lives they will be able to see the Milky Way – the many millions of stars of our own galaxy that are so dense they appear as a cloud in the sky. The buildings in the city not only block out much of the sky, but the light from street lights and buildings dulls the dark backdrop that makes seeing the Milky Way possible. Indeed in most parts of Ontario (at least the parts where people live) seeing more than a few stars is rarely possible. At Algonquin Park, seeking a sky full of stars is possible most nights of the year. Standing in awe under a sky full of stars in the quiet of Algonquin Park, “Time Stands Still”. No telescope or binoculars are necessary to enjoy the show. At Algonquin Park, easily accessible lakes afford a remarkable view of the heavens that yields before the unaided eye a festival of stars. Looking east over Lake Kawawaymog Lake from Northern Edge Algonquin there is no visible city light. When the sun dips below the horizon (especially in times when the full moon isn’t on display) thousands upon thousands of stars become visible. There are so many stars in fact, that constellations that are sometimes visible in the city become lost amid the multitude of sparkling stars. The map of light hotspots provided by Dark Sky Finder shows the location of dark skies in Ontario…. and there are very few accessible places to see the stars against a dark sky. Even the principle sky viewing locations are mostly found in highly light polluted skies easily accessed by city dwellers. When you next visit Algonquin Park, be sure to stay up past dark and find your way to a lake shoreline where the sky will stretch out wide in front of you. Feast on the light show that occurs every night. 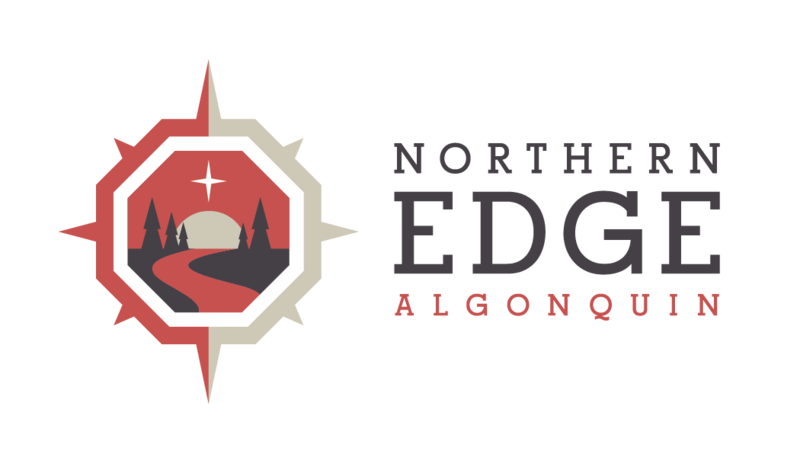 To get the most out of your dark sky Algonquin Park sky viewing experience, choose a time within a week of the New Moon. If you are interested in watching satellites pass overhead, an excellent resource called Heavens Above gives the names and times of bright satellites passing overhead, including the International Space Station and my favourite spectacle of the night sky – Iridium Flares, the bright shining light of the sun mirroring off Iridium satellites and appearing as a bright comet-like sky treat. The Heavens-Above site gives a listing of the times and location in the sky when these flares will occur. We sometimes bring listings of these events with us on Algonquin Park canoe trips and gather at the shoreline looking to the sky in the locations and times when iridium flares will occur. It’s kind of like magic, knowing what will come and waiting in the dark for the show. The other night sky treat at Algonquin Park is the occasional witnessing of the Northern Lights or Aurora Borealis. The best resource for understanding the potential of a northern lights show at Algonquin Park is the northern lights prediction tool at the Geophysical Institute at the University of Alaska. We like to use this map of Aurora predictions to see whether we will have a chance to see Northern Lights. Sometimes the waves of light are just white, but at other times they shimmer in green, blue and purple hues depending on the particles in the atmosphere that are being hit by the solar wind streaming from the sun. How Stuff Works explains the colours of the Aurora all quite well. Want to see what’s really up in the sky? Visit Algonquin Park and discover the magic of the stars.